This October 30, 2017, file photo shows former Donald Trump campaign chairman Paul Manafort leaving federal court in Washington, DC. Recent court filings are shedding new light on a mysterious $125,000 payment to lawyers for Paul Manafort. The firm that made the payment is called Multi Media Services Corporation, and its silent owner is Tony Fabrizio. The route this money traveled offers a window into relationships Manafort built over decades. Recent court filings from special counsel Robert Mueller shed new light on a mysterious payment to lawyers for Paul Manafort, the onetime chairman of Donald Trump’s presidential campaign. The payment, for $125,000, was made in June 2017, halfway through Trump’s first year in office. But it wasn’t disclosed publicly until late last year, when prosecutors accused Manafort in court filings of repeatedly lying to them about where the money actually came from. 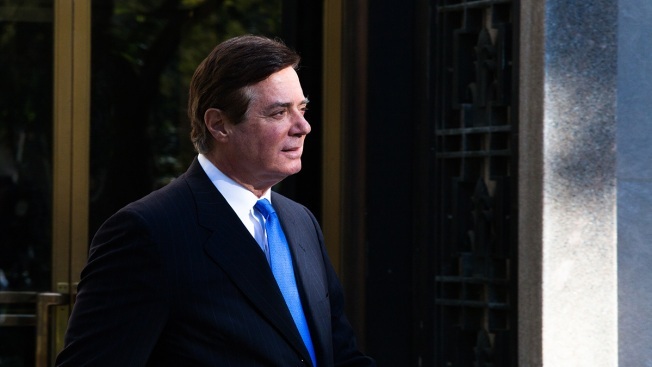 Manafort was convicted in 2018 of tax evasion and bank fraud, and sentenced in Virginia on Thursday to 47 months in prison. He faces another sentencing next week in Washington, D.C. In the world of presidential campaign fundraising, where millions of dollars are often raised and spent in a matter of weeks, $125,000 can seem like a drop in the bucket. But the route this money traveled, from its origin as a donation made to a pro-Trump political group, to its final destination in the bank account of Manafort’s attorney, offers a rare glimpse into the inner workings of relationships Manafort built over 40 years in Republican politics. These relationships have drawn fresh scrutiny in recent weeks. Both Manafort and another key figure in this story, Republican pollster Tony Fabrizio, were among 81 individuals and entities that received formal document requests on Monday from the House Judiciary Committee, which is investigating a broad range of potential presidential misdeeds. The path taken by this $125,000 also highlights the ways that Manafort took advantage of the Trump campaign’s underdeveloped leadership structure to install his allies in top positions across the Trump political landscape. Nowhere was this more evident than in the murky, loosely regulated world of super PACs and other political “dark money” groups, which are permitted to raise unlimited amounts of money from donors as long as they don’t “coordinate” directly with campaigns, a legal standard that leaves plenty of room for interpretation. In this world, Manafort’s longtime associates could hold key positions, and oversee the raising and spending of huge sums of money, often with little to no direct oversight. One of these positions was leading a pro-Trump super PAC that Manafort helped to establish in June 2016 called Rebuilding America Now. To run the group, Manafort tapped an old friend, Connecticut-based lobbyist Laurance “Laury” Gay. A former official in President Ronald Reagan’s administration, Gay went on to work at Manafort’s lobbying firm in the late 1980s. He is also the godfather to one of Manafort’s daughters. With Manafort’s blessing and Gay at its helm, Rebuilding America Now raised more than $24 million between June and December 2016, more than any other pro-Trump super PACs did during the entire election. According to the transcript from a Feb. 4 hearing in Manafort’s trial, prosecutors believe that in 2017, Rebuilding America Now under Gay’s leadership also played a central role in what they describe as a “scheme” to provide Manafort with “a way of getting cash” out of his time as the unpaid chairman of Trump’s 2016 campaign. Manafort’s decision to take a volunteer job at the top of Trump’s presidential campaign drew national attention to his lobbying career. By the summer of 2017, Manafort was the target of multiple investigations into his personal finances, campaign work and foreign lobbying. Faced with mounting legal bills, Manafort reached out to Gay in June of that year and asked him to arrange a $125,000 payment to Manafort’s lawyers, according to both prosecutors and Manafort’s defense attorneys. Rather than give Manafort the money himself, however, Gay called someone else. “At the request of Paul Manafort, Laury [Gay] asked that funds be forwarded to an entity designated by Mr. Manafort to assist with his legal expenses,” said Anthony J. Iacullo, a criminal defense attorney who represents Gay, in a recent interview with The New York Times. CNBC attempted to reach Gay several times, but the phone at Gay’s Canaan, Connecticut-based consulting firm, Business Strategies & Insight, had been disconnected. Crucially, in a January court filing the special counsel also noted that this person ran a firm that had been paid “approximately $19 million” by the super PAC that Gay was running in 2016. There is only one firm that received anything near $19 million from Rebuilding America Now. And reports filed with the Federal Election Commission show that this firm received almost exactly $19 million, leaving little doubt about which firm it was that prosecutors were referring to. It is a political ad-buying firm called Multi Media Services Corporation, or MMSC, based in Alexandria, Virginia. At first glance, MMSC appears to be a small, two-man shop with no obvious ties to Manafort or anyone else with whom Manafort has “a long relationship.” Moreover, there are no signs that either of the principals at MMSC was ever “a vendor on all these campaigns [Manafort has] used in the past,” which is how Manafort’s lawyers described the person who ran this firm. But there is more to MMSC than meets the eye. Interviews and corporate records unearthed by CNBC have revealed that MMSC has a silent owner: Tony Fabrizio, a longtime Manafort associate and the chief pollster on Trump’s 2016 presidential campaign. Fabrizio’s dual role as: a) the owner of MMSC, which was the biggest vendor to the top pro-Trump super PAC, Rebuilding America Now, and b) the Trump campaign’s lead pollster, has not been reported until now. As for the source of the $125,000, CNBC has also uncovered a compelling detail buried in one of the hundreds of exhibits that Mueller’s prosecutors have entered into the record in the case against Manafort in Washington. This one appears to be a bank transfer record of the payment itself. Again, MMSC is the acronym for Multi Media Services Corporation. Two political operatives who spoke to CNBC referred to the firm by its acronym. CNBC tried repeatedly over several weeks to reach Fabrizio, but he did not respond to emails or phone messages left for him. To be clear, at no point in any publicly available filings does Mueller suggest that Fabrizio or MMSC committed any crimes. On the contrary, details that appear to have been provided by Fabrizio are cited frequently as evidence of Manafort’s alleged misdeed: lying to prosecutors about the source of the $125,000. Manafort’s lawyers deny that he lied. They told the court that he was merely confused or misremembered during each of the three interviews where he told the government three different stories about where the money came from. Legal experts also told CNBC that there doesn’t seem to be anything wrong with what Fabrizio appears to have done, namely, use money from a firm he controls to make a payment on someone else’s behalf. In addition to Fabrizio, Manafort and Gay, CNBC also reached out to former Rebuilding America Now political director Ken McKay, former general counsel Cleta Mitchell and finance director Christina Culver. None responded to emailed questions about the group or about their work for it. The connection between Fabrizio, Manafort and the money sent to Manafort’s lawyers from MMSC is only the latest chapter in a relationship between the two men that dates back more than 20 years. In 1996, Fabrizio and Manafort worked together on the failed presidential campaign of former Kansas Republican Sen. Bob Dole. Then, as in 2016, Manafort was initially brought on board to manage the delegates at the 1996 Republican National Convention, while Fabrizio worked as the Dole campaign’s pollster. Since then, Fabrizio has also done work for some of Manafort’s most controversial clients. In 2012 and 2013, foreign lobbying records show that Manafort paid Fabrizio $278,000 for work Fabrizio did to help Manafort’s political clients in Ukraine. Fabrizio’s role in Manafort’s Ukrainian lobbying wasn’t revealed until a year after Trump was elected, however, when Manafort was required to file a foreign agent registration form with the Justice Department. On it, he listed five separate payments to Fabrizio, as well as payments to various other subcontractors. Three years after they worked together on the Ukraine job, Manafort hired Fabrizio again, in May 2016, this time to work for the Trump presidential campaign. At the time, Fabrizio’s hiring was greeted with fanfare in Republican circles, where it was viewed as a sign that Trump’s chaotic, bare-bones primary operation was maturing into a national presidential campaign, one capable of taking on the massive machine backing Democrat Hillary Clinton. Meanwhile, the fact that Trump had hired a pollster at all was newsworthy, coming, as it did, after months of the candidate insisting that political pollsters were a waste of money. “In the end, it was the pugnacious and bulldog-like Fabrizio who insisted that the Trump campaign had to expand the map into Wisconsin and Michigan, while doubling down on Pennsylvania,” Stone wrote. Stone was arrested earlier this year on charges that included lying to Congress about his contacts in 2016 with Wikileaks, which published thousands of emails allegedly stolen from the Clinton campaign by Russian state hackers. He has pleaded not guilty and is awaiting trial. The charges against Stone are unrelated to the Manafort prosecution, nor do they have anything to do with Fabrizio or Gay. Two weeks after Manafort hired Fabrizio to poll for the campaign, Manafort and longtime Trump ally Tom Barrack set up the Rebuilding America Now super PAC so they could raise millions at a time from wealthy GOP donors to help Trump, who was reportedly growing tired of spending his own money to fund his campaign. The rapid succession of these hirings — first Manafort to chair the campaign, then Fabrizio to poll for the campaign, then Gay to run Rebuilding America Now, then Fabrizio’s ad-buying firm to buy the airtime for Rebuilding America Now — offer a striking example of how Manafort turned his unpaid role on the Trump campaign into an opportunity to secure lucrative work for his longtime associates. In hindsight, however, this work appears to have come at a high cost to those who did it. On March 4, Fabrizio was one of more than 80 members of Trump’s extended political and professional orbits to receive a formal letter from House Judiciary Committee Chairman Rep. Jerry Nadler, D-N.Y. In it, Nadler wrote that the committee is investigating “allegations of obstruction of justice, public corruption, and abuses of power” by Trump and those around him. The special counsel’s interest in hearing from Fabrizio predates the Judiciary Committee’s letter by more than a year, however. In early February 2018, Fabrizio was seen by CNN leaving the special counsel’s office in Washington. The network later confirmed that he had been meeting with members of Mueller’s team. More recently, court filings in the Manafort case also repeatedly mentioned another interview with an individual who appeared to be Fabrizio, this one conducted on Nov. 6, 2018. Prosecutors said this individual provided accurate details about the $125,000 payment and how it was arranged, that they were later able to corroborate with text messages and bank records. The individual also described a financial relationship between MMSC and Rebuilding America Now that was more complicated than it initially appeared in the campaign finance reports that the super PAC submitted to the FEC. According to the account of the individual who appears to be Fabrizio, Rebuilding America Now agreed to pay Fabrizio’s firm a surprisingly high commission rate, 6 percent, on its media buys during Trump’s 2016 campaign. The reason for this above-average rate, the person said to prosecutors, was that “half the commission was to be provided to” the head of Rebuilding America Now, in this case, Gay. They also said the commission split “was not reflected in the written contract” between MMSC and Rebuilding America Now. This wasn’t the first time that questions had come up about the commission rates Rebuilding America Now was paying for its ad buys. During the 2016 presidential race, potential donors to the PAC also reportedly questioned the rates, along with other elements of Rebuilding America Now’s spending. “The main question is where the money is going,” an attendee at a Rebuilding America Now fundraising meeting during the Republican National Convention told CNN in the summer of 2016. During that meeting, specific questions were also raised “about the super PAC’s commission rates,” the attendee said. Commission rates on political ad buys are particularly difficult to track, because campaigns and groups like Rebuilding America Now are not required to report them separately from the money they spend to air the ads themselves. So, for example, if a super PAC reported an expense of $20 million paid to an ad-buying firm, it would be impossible to tell how much of that money went to the firm as commissions, and how much of it was actually spent to buy airtime. But “if Gay and Rebuilding America Now knew that 3 percent of all commissions paid to Multi Media Services Corporation would be routed back to Gay, those transactions should have been reported to the FEC as payments to Gay” and not merely as commissions to MMSC, said Brendan Fischer, director of the federal reform program at the nonprofit watchdog group The Campaign Legal Center. Federal campaign finance law requires that PACs, like political campaigns, accurately report their expenditures to the FEC. “If a payment is made to one vendor with the intention that it be directed to another person or subvendor, and that recipient isn’t disclosed, then the committee has violated the law” by failing to disclose their expenditures accurately, Fischer said. Gay’s attorney declined to respond to questions about the commission split from CNBC, as did Fabrizio. But the alleged existence of a secret commission split wasn’t the only thing about the relationship between MMSC and Rebuilding America Now that experts said raises questions about where donors’ money was actually ending up. In May 2017, six months after Trump had won the presidency and Rebuilding America Now had stopped buying ads on TV, campaign finance records show that Fabrizio’s ad-buying firm, MMSC, made three large cash transfers to Rebuilding America Now. The first was on May 27, for $150,000, according to campaign finance records, which detail all these payments and their dates, sources, amounts and recipients. Three weeks later, on June 15, MMSC again transferred money to its former client, only this time it was a much larger amount: $625,000. The very next day, June 16, it transferred $25,000 to Rebuilding America Now, for a total of $800,000 from the ad-buying firm to the super PAC in a little under a month. And not just any month. This was the month leading up to the mysterious $125,000 payment to Paul Manafort’s attorneys. That payment, from the account labeled MMSC - Secondary, occurred on June 26, precisely 10 days after the third and last payment from the firm to the PAC. Records show that Rebuilding America Now reported the $800,000 it received in May and June as media reimbursements. This helps to explain why the money does not appear to have raised any red flags so far with the FEC, even though several other aspects of the PAC’s finances have prompted the FEC to formally request additional information or corrections. Ad-buying firms frequently reimburse clients after elections for any money that doesn’t ultimately get spent by the firm on ads. This payment is called a reconciliation, and it’s usually made as soon as possible, and it’s precise down to the dollar, said Barbara Kittridge, the founder of Motive LLC, a political media-buying and strategy firm in Washington. “January is what we media buyers call ‘audit season,’ where we go back through all our ad contracts from the previous year and carefully match the money that was paid with the actual ads that were run. If there’s any money that wasn’t spent, it’s returned to the client right away,” she said. “Typically, ad-buying contracts require that reconciliations be paid somewhere between 15 and 45 days after the end of either the campaign or the calendar year. Six months is some of the longest I’ve ever seen for a repayment,” Kittridge said. Interestingly, several months before MMSC returned exactly $800,000 to Gay’s super PAC in the summer of 2017, campaign filings show that the firm made a different reimbursement payment to Rebuilding America Now, one that Kittridge said looked much more like a typical ad reconciliation than the later amounts did. On Feb. 10, 2017, five weeks after the end of the fourth quarter, MMSC transferred $347,505 back to its client, Rebuilding America Now. Campaign legal experts said the transfer matches what media reconciliations typically look like, because it happened quickly and it was for a very precise amount. “This reimbursement would be more normative, from both a timing perspective and from an amount perspective,” said Kittridge. Yet the same qualities that make the February payment appear run-of-the-mill, experts said, are what make the May and June payments look so unusual. “Six months after the election, with big round numbers, are definitely more suspect,” Kittridge said. “I have never seen such large reimbursement payments coming so long after the election for which the ads were created. It strains credulity well beyond the breaking point to believe that these payments are reimbursement for unaired general election ads,” said a campaign finance lawyer who has been practicing before the FEC for 30 years, and who requested anonymity to discuss an issue that could come before the commission. CNBC attempted to reach Fabrizio, as well as MMSC’s president, Dwight Sterling, and its media director, Neal McDonald, for several weeks to ask them about these unusual reimbursements. None responded to phone messages or emails. Yet one thing is clear from the PAC’s financial reports: In the year that followed these three unusual cash transfers from Fabrizio’s firm to Rebuilding America Now, no one took home more of that money from the PAC, in consulting fees and expenses, than Laurance Gay. Gay first entered Trump’s orbit in April 2016 as a high-level campaign volunteer, one of several lobbyists Manafort recruited to help him professionalize the Trump campaign as it became increasingly likely Trump would be the Republican nominee. But Gay and Manafort’s professional relationship dates back to long before there was ever a Trump campaign. In the 1980s, Gay worked with Manafort and Stone at their lobbying firm, Black, Stone, Manafort & Kelly. Gay is also reportedly the godfather to one of Manafort’s daughters. During the 2016 campaign, Gay touted his personal and professional relationship with Manafort as one of the major assets Rebuilding America Now had that other pro-Trump super PACs did not. “The advantage that we bring, without compromising any of the boundaries, is we know how Manafort thinks. I’ve done over 40 campaigns with Paul,” Gay told Politico in the summer of 2016. For Gay, his relationship with Manafort would also prove to be extremely lucrative. Between June 2016 and June 2018, Gay collected just over $1 million in consulting fees from Rebuilding America Now. More than three-quarters of that, a total of $775,000, was paid to Gay after 2016, and after Rebuilding America Now had shed staff and stopped running TV ads for Trump. During that same two-year period, Gay collected another $254,000 in travel reimbursements from the super PAC. Again, the majority of this money, $149,164.03, came after 2016 was over. Added together, the expenses and fees that Gay took home from Rebuilding America Now in the 18 months after 2016 equaled $924,164.03. This is very close to the combined total of $925,000 that was paid to the super PAC and Manafort’s lawyers ($800,000 to the PAC plus $125,000 to Manafort’s lawyers) by Fabrizio’s firm, MMSC, in May and June 2017. In June 2018, Rebuilding America Now’s travel expenses caught the attention of the FEC. In a letter to Rebuilding America Now’s treasurer, Ryan Call, the FEC asked him to explain the $42,286 the group had paid to Gay for “Travel” during the first three months of 2018. The FEC gave the group until Aug. 2, 2018, to reply, but so far it has not responded to the request. By this point, more than a year after Trump was elected, Rebuilding America Now appeared to be operating as little more than a meme-posting operation on Facebook and Twitter, trying to engage Trump supporters with “Like if you agree!” style posts. Yet despite spending money to buy Facebook ads, to pay Gay $35,000 a month and to pay other consultants and lawyers, Rebuilding America Now effectively stopped raising any money after the 2016 election, and only spent money. Between June 2017, when the PAC received the last of the three unusual transfers from MMSC, to October 2018, when Palm Beach real estate developer Llwyd Ecclestone gave the group $25,000, campaign finance records show that Gay did not raise any money at all. Ecclestone’s gift came long after the PAC had effectively gone dormant. He did not respond to an email from CNBC on Friday asking what prompted him to donate $25,000 to the group more than two years after he had last given it any money and months after Rebuilding America Now had stopped doing anything more than posting photos online. Now, it barely even does that. Rebuilding America Now’s Twitter account posted its last tweet on Oct. 10, 2018. And the PAC’s website was taken down sometime in the fall, although it is difficult to tell precisely when. As of March 6, the Rebuilding America Now Facebook page was still active, however, and it linked to the nonexistent website. CNBC sent a message to the Facebook page but has received no response. While the name of Rebuilding America Now may have faded from the pro-Trump political landscape, Gay’s name has re-emerged in the news in recent weeks. This time it is in connection with a different pro-Trump entity that is currently under investigation: Trump’s presidential inaugural committee, or PIC. Bloomberg News recently identified Gay as having been in charge of the ticketing operation for Trump’s inaugural events. This appeared to be the first time Gay had been identified by name as having had an official role in Trump’s inauguration. “Gay didn’t have any known experience managing invitations, according to three people familiar with his role,” Bloomberg reported. Prosecutors in both New York and New Jersey have reportedly opened preliminary investigations into Trump’s inaugural committee, including whether foreign nationals who attended inaugural events made prohibited donations to the committee by using “straw man” donors to hide their participation. Gay was not the only member of Manafort’s inner circle working on core elements of Trump’s inauguration. Manafort’s longtime right-hand man, Rick Gates, was the deputy chairman of the inaugural committee, working directly under Barrack, the inaugural committee’s billionaire chairman. The revelation that Gay was working alongside Gates at the inaugural committee serves as yet another example of how far Manafort’s reach into the Trump campaign continued to extend, months after Manafort himself had been fired from the campaign in August. Gates was indicted in late 2017 along with Manafort, and charged with failing to disclose foreign lobbying and tax evasion. He has since pleaded guilty to charges of conspiracy and lying to the FBI, and he has cooperated with prosecutors and testified against Manafort in court. Gay’s attorney declined to comment in response to questions from CNBC about Gay’s work for the inaugural committee.